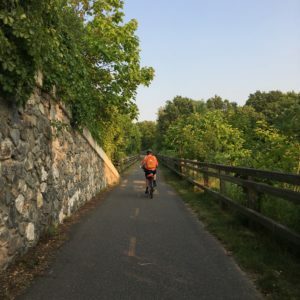 The Blackstone River Bikeway is a beautiful way to explore the Blackstone Valley, whether by bike or on foot, and offers something for everyone to enjoy. With over 17 miles already constructed, the vision is for it to extend 48 miles from downtown Worcester, MA, to India Point Park in Providence, RI. 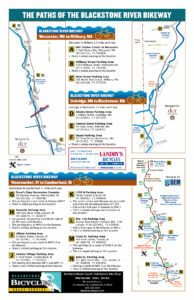 From there it connects with the existing East Bay Bike Path and continues on to Bristol, RI, for additional 14.5 miles. 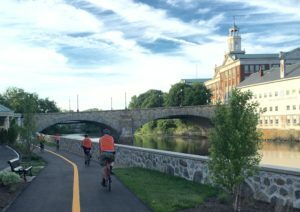 When completed, the Blackstone River Bikeway will serve as an alternate mode of transportation for commuters as well as the region’s premiere recreational resource, connecting New England’s second and third largest cities. 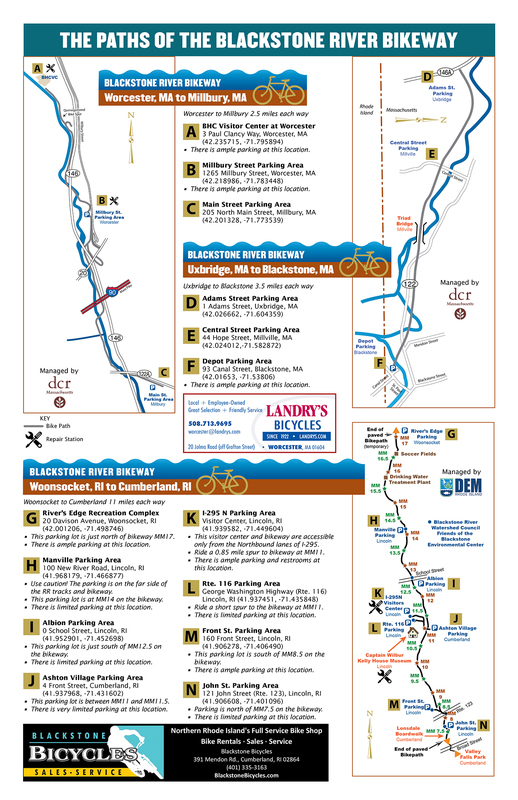 Today, there are three completed sections of the Blackstone River Bikeway, totaling 17 miles of off-road paved trails with the remainder connecting the segments on marked, on-road routes. Starting at the northern end of the Blackstone River Valley National Heritage Corridor, the Worcester, MA, to Millbury, MA, segment is 2.5 miles long, starting at the new Blackstone Heritage Corridor Visitor Center at Worcester (opening Fall 2018) and this stretch offers two bike repair stations including one at the Visitor Center and another at the 1265 Millbury Street parking lot in Worcester. Further south, another 3.5 mile paved segment from Uxbridge, MA, to Blackstone, MA, brings you to the Rhode Island border. It crosses eight bridges with beautiful views of the Blackstone River and Canal and includes a stop to view the historic Millville Lock. This segment also features a playground with a convenience store across the way offering refreshments and ice cream. Another 11-mile segment just over the Massachusetts border leads from Woonsocket, RI, to Cumberland, RI, passes by four rolling dams and takes you through the Blackstone River State Park with a stop at the Capt. Wilbur Kelly House & Transportation Museum in Lincoln. There is a bicycle repair station behind the museum and additional one is located at the I-295 Visitor Center in Lincoln where a paved trail leads down through the park to connect with the bikeway and the Kelly House. What are you waiting for? Grab your bike and helmet, lace up those walking shoes and come experience history, enjoy nature, and discover local businesses throughout the Blackstone River Valley. And if you’d like a guided tour, Blackstone Heritage Corridor Bikeway Ambassadors lead weekly guided rides from May through September. Dates are posted to the Blackstone Heritage Corridor events page.